HERSHEY, PA - NOVEMBER 04: Donald Trump "Make America Great Again" hats are sold at a rally on November 4, 2016 in Hershey, Pennsylvania. 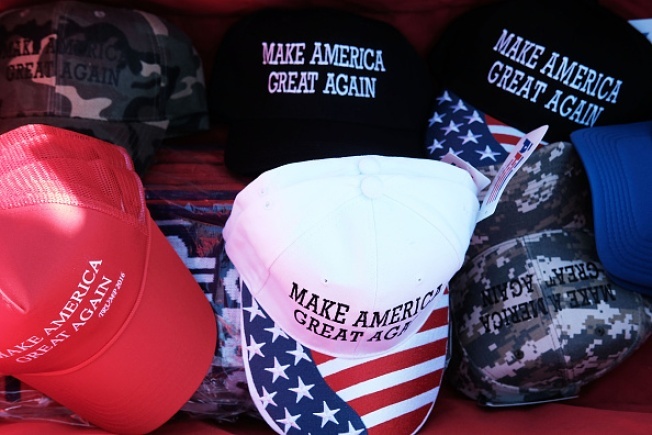 A Massachusetts newspaper reporter has resigned after falsely suggesting the perpetrator of the deadly shooting at a Maryland newspaper was wearing a President Donald Trump-inspired "Make America Great Again" hat. The Republican newspaper in Springfield reports Conor Berry has apologized for tarnishing the "good work of fair-minded journalists everywhere" in his Friday resignation letter. The Republican's executive editor Wayne Phaneuf says journalists must be "more vigilant than ever" in their efforts to be fair and accurate. Trump frequently criticizes reporters as peddlers of "fake news."